Leadership: Our summer L.E.A.D. programs main focus is leadership. 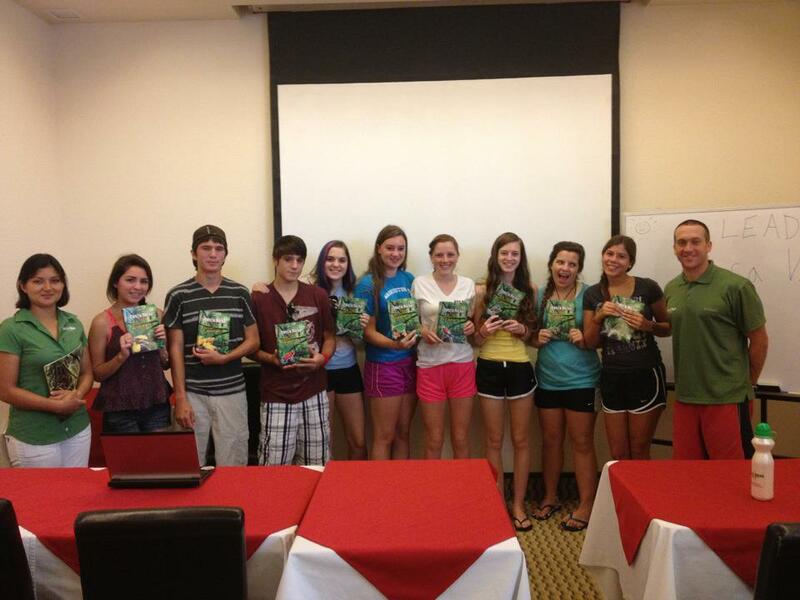 You will learn leadership skills everyday from meeting with local leaders (US Embassy, United Nation University of Peace), participating in adventures (whitewater rafting), and organizing and running a summer camp for local Costa Rican kids. You will return home with leadership skills and strategies you can directly apply to your life. Experience: Every experience offers a lessons and this trip is full of experiences. You will experience first hand the natural beauty and diversity of Costa Rica- from the tropical forests to the beautiful beaches. 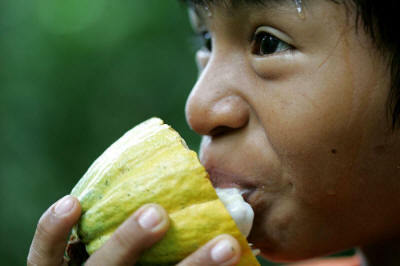 During the trip you will also be fully immersed in the culture experiencing the local food, people and traditions. Everyday offers a new adventure and a lesson to be learned. Awareness: Part of being a good leader is being aware. A secondary goal of our L.E.A.D program is to create awareness. 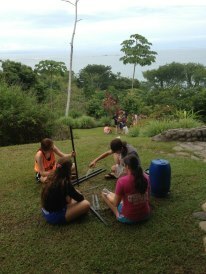 Throughout the many activities you will develop a keen sense of environmental, cultural, social and self-awareness. With such awareness the L.E.A.D. program creates a truly transformative learning environment. Development: The ultimate goal of the L.E.A.D. program is to offer students leadership skills, experiences, and awareness that will help develop them into a better leader. Creating a better world for tomorrow. Today you will be met by your CRR representative at the gateway airport in Orlando FL. From here it will be a three hour flight to the capital city of San Jose. When the group arrives at the airport they will be met by the rest of the CRR staff. At the first hotel we'll begin with ice-breakers to get to know everyone. Next we'll go over rules and regulations for the week and what kind of adventure and fun to expect during the next 10 days. The LEAD kids will also be given two different projects which they will begin working on. 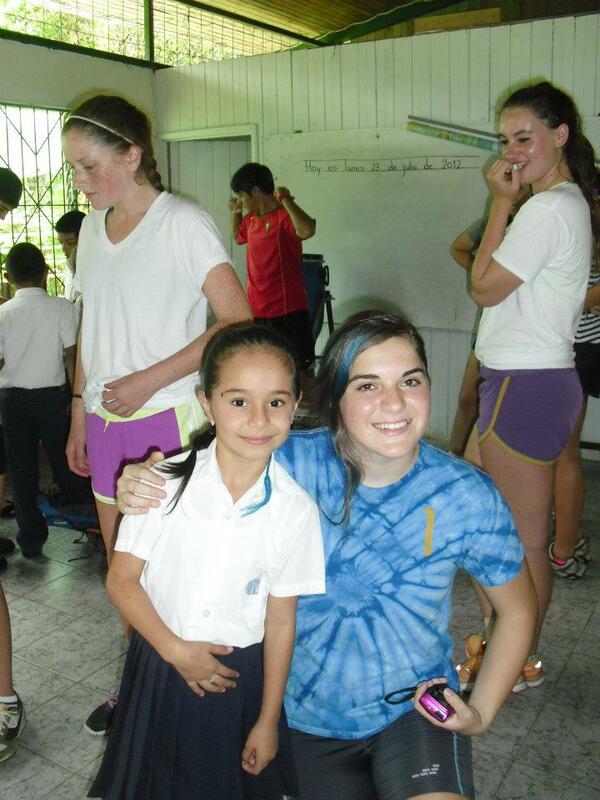 The first is their mini-camp with the local kids and the second is their visit to the orphanage. We will be participating in four different projects but these two will be developed and worked on each evening by the LEAD members where they will come up with activities for how they plan to operate the mini-camp and their visit to the orphanage. Journal Topics - One page on First impressions of people & place and how it feels to be away from home. After a good night sleep and a hearty breakfast our Leadership group continue on to the United Nations University of Peace. 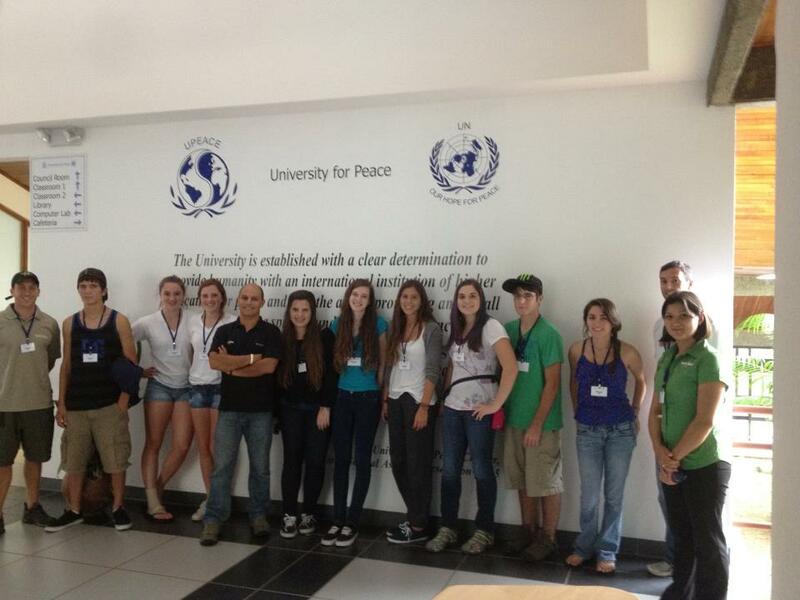 Here the students will spend the morning getting a tour, history, and lectures from some of the UN professors from all over the world on an introduction to world issues and what leaders of the future can bring to the table to make the world a better place. Leadership Skills Applied - Conflict Resolution. Journal Topics - How you feel about the world issues we learned today. Do they make you sad, motivated, discouraged? How leaders can help? We will wake up to the sounds of the waves of the Pacific crashing just below. When staying at La Cusinga you have some of the best views of the Pacific you can find. With 200 acres of primary rainforest, it is where the jungle meets the sea. In the morning we will be taking part in our first community service project which will be a total of 4 hours. Each child will be making a biodigester food bin for a local family or school. We'll present them and then teach the importance of what can be done by composting food scraps. 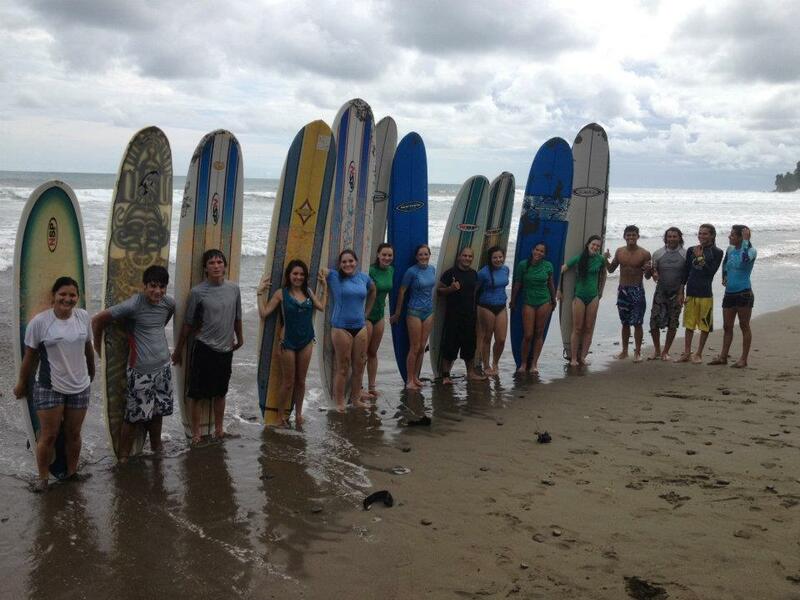 Transformative Learning Experiences - Serving the community, learning a new skill(surfing), appreciation nature(sunset). Become Aware of - Importance of composting, local school environment, fun in the outdoors. Journal Topics - Free writing and difficulties of surfing. What was it that motivated you to get up after falling down so many times or what is it that made you get up so many times. Ways you can use the community service project to help back home? Today we will have breath-taking views of the Pacific coast line from a hipline. We will be zipping through the rainforest canopy at 300 ft high off the ground. This particular zipline is one of our favorites because it offers a Tarzan Swing at the end that is one of the shortest but most fun adventures you will find in all of Costa Rica! Today is full day of fun and adventure in the land of waterfalls. We will start by having breakfast and then make a short hike to an area where we will have the chance to jump off different waterfalls into pristine pools and enjoy the morning swimming in the pools. 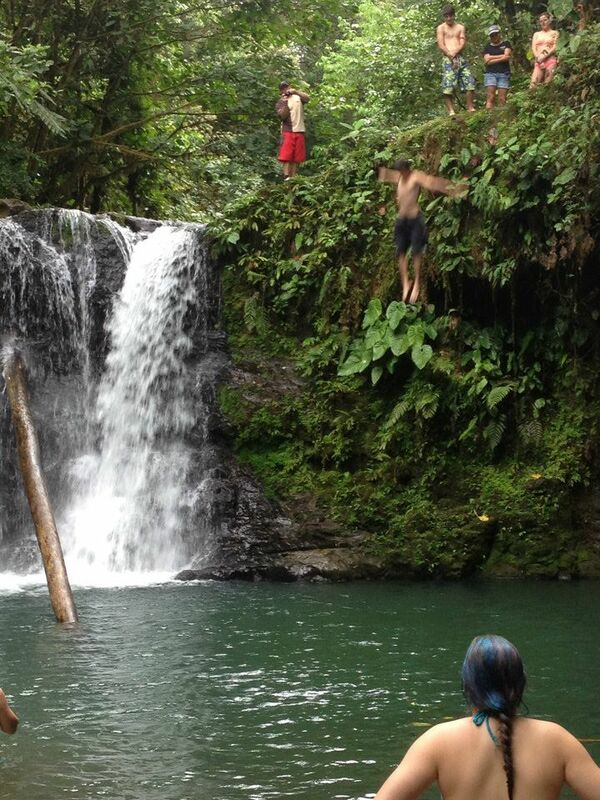 The real adventure will begin when we take on the 150ft waterfall. This is a rappel that again will put the kids to the test when they are asked to walk off the edge. It is an amazing experience that builds confidence like no other adventure we have. Today we will head out of the Cavern but we will first visit some more waterfalls. These are some of the best waterfalls in the area because they are home to pristine swimming holes where everyone can just relax for awhile after a few days of hiking. Journal Topics - No journal today just briefing on how each member felt before and after the jungle experience. Recap on trip. Today is where community service meets FUN! 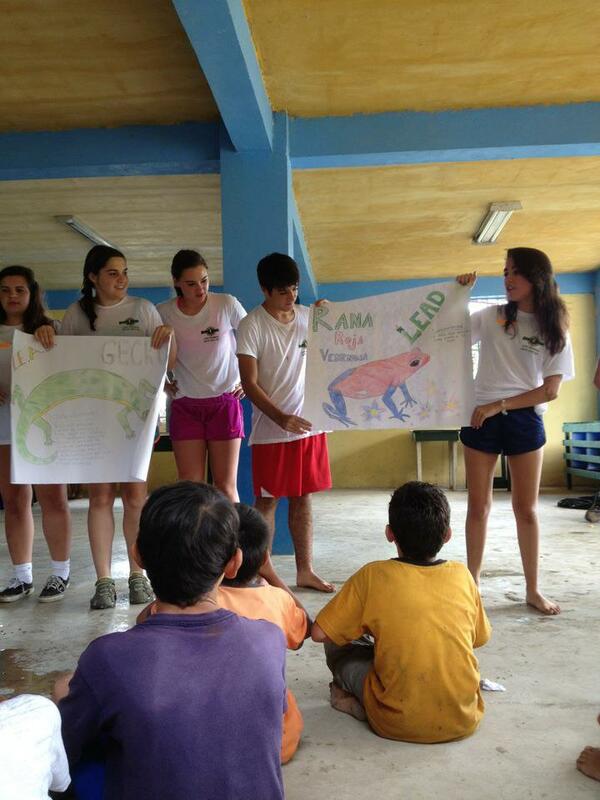 We will be hosting a summer camps for locals kids in a village called Sitio de Mata. We will get to the village in the early morning and the day will be spent at the local soccer field and community center. The campers will be the younger kids of the village and they'll be doing games and educational activities designed by the LEAD kids. This mini-camp happens to always be the highlight of the trip for many students and without question a highlight of the summer for the local kids. Leadership Skills Applied - Organization, communication, time management, team work, execution of a plan, interpersonal skills, and enthusiasm. Journal Topics - Highlight of the day, how did local kids benefit, what could have been done more efficiently next time? After a full day at camp it will be a full day on the river today. The Pacuare River is known by National Geographic as one of the top five commercially rafted rivers on the planet for it's scenery. Today the kids will begin from early morning learning about teamwork. We'll be sleeping overnight in the jungle giving us the opportunity to take our time on the river and focus on different life skills and team building topics. Journal Topics - What does it mean to be a team member on a raft? How can this relate to the world working as a team to help with some basic problems of today? Today you will wake up surrounded by tropical lush primary rainforest and the sounds of the Pacuare River. The topics of learning about today will involve the different environmental issues of the tropics and how it can affect the entire life system of Earth. The topics which seem much more real on the river are: Fresh water, soil degradation, climate change, and the amazing wonder of Biomimicry, getting kids excited to learn from nature and not just learn about nature. Journal Topics - How do you feel that nature knows a lot about things that we have yet to figure out? Have you always respected nature? Can you describe the affect of different everyday things back home that might affect nature in a positive or negative way? 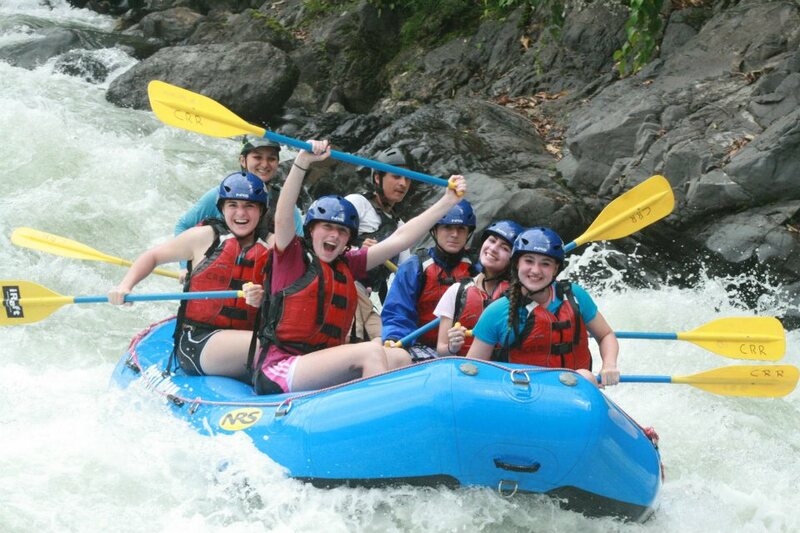 Today we will be rafitng the most adventurous part of the Pacuare River as we enjoy some great class III & IV rapids. We will make our way also through the most scenic part of the Pacuare and enjoy some hikes around the river bank. We will also be teaching the kids a few of our wilderness survival skills as we show them the basics to getting by in the jungle! After we take out of the river we will be visiting an orphanage in Guapiles where the kids will have a chance to exchange gifts and spend some quality time as they will surely be remembered. This is a special visit and usually has the largest impact on all of our LEAD Members and a great motivation to try and work to conserve the planet for future generations. 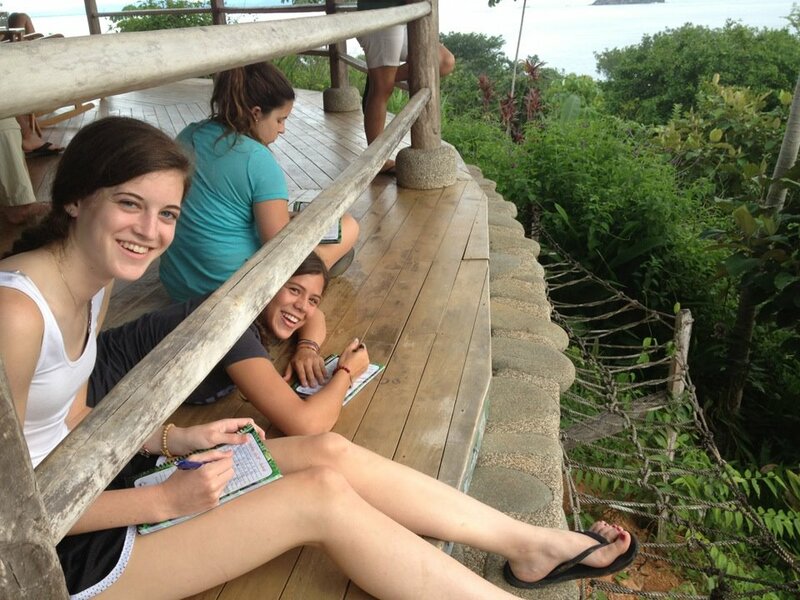 Journal Topics - Were you talking a lot or staying quiet before the zipline? Includes: Double occupancy lodging, All meals included, all lodging, All LEAD program materials, Emergency care insurance.